Product Details- Nutritional Composition -Crude Protein min 24% Crude Fat min 4.5% Crude Fiber max 5% Moisture max 10%,Ingredientd-Vitamin A Improves visual acuity. Vitamin D3 Helps in the development of strong bones and teeth. Vitamin E Aids the reproductive system. 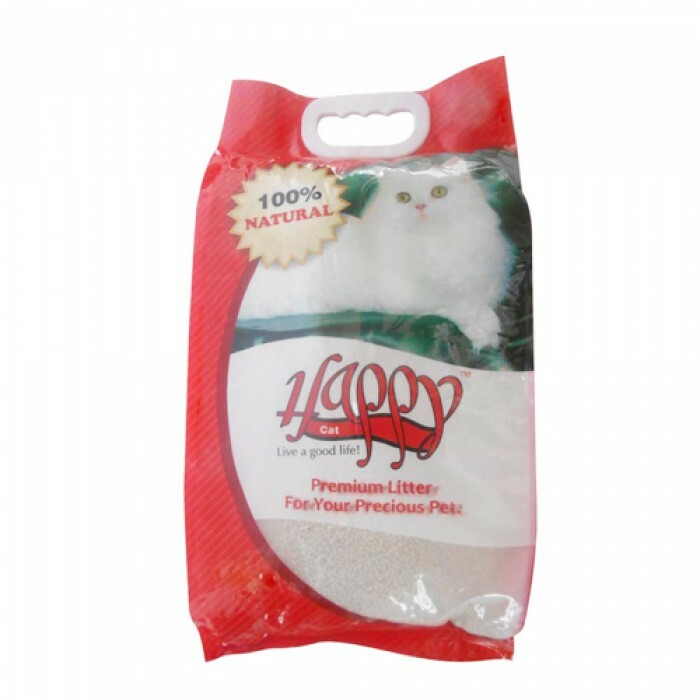 Suitable- all breeds 2 months onwards ,Use- helps in germ preventive ,Quantity-5 Kg. Product Information -100% natural, clumping litter. All clumping litters are made from sodium bentonite, a form of clay. Premium scoopables, like HAPPY CAT uses 100% sodium bentonite to maximize clumping. Some clumping litters blend cheaper clays with bentonite and will break apart in the litter box. Character- Short column, ball granularity or no finalize shape, non-disolvable in any solution, non-poisonous, is strongly water-absorbent.